This fiscal year’s budgetary allocations for higher education have been slashed by more than 70 per cent. In a poorly thought out moment, the government announced in June a 50% increase in salaries which has subsequently not been possible to honour to date leading to a very avoidable sense of deprivation. Why is it that financiers only think of money: How much money will it take to make more money? How much money must we borrow? How much money must we make to repay what we borrow? There is never enough talk of what money can buy, what is worth buying, or those things worth achieving that perhaps money can’t buy. Such as being accomplished at what we do, being well behaved, appreciating what is beautiful around us, how to use authority wisely, how to be calm and dignified, the necessity of being honest in one’s dealings, respect for others, being responsible, how to be empowered , how to be ambitious without being ruthless, how to be competitive without being unjust, how to love and be loved, how to care for and value our elders, our children, our women, our neighbours, our animals, our environment, how to harvest yet preserve the gifts of nature. Both Awab and I recently went on separate trips to Kot Addu and Sukkur, into just some of the areas affected by the flood. I think that by now, the scale of the disaster is hitting people- even Ban Ki Moon’s statement sent everyone scurrying for ideas and strategies to deal with the flood. The food relief truck I went with was organized by Saad Sarfraz Sheikh, an inspiring photographer and friend, who pulled in food through donations, and had someone arrange for a truck to transport it all to Kot Addu. I must also mention that even now, Saad’s father remains trapped at the PARCO refinery in the Kot Addu area. I realize that we’re going through the greatest natural disaster that we’ve gone through- ever, and what’s more important, is that the world is realizing this as well. Rather than going into the usual analysis-paralysis of why the floods were so bad this year, or why the politicians are so indifferent, this article candidly shares what Awab and I have learned from our short trips into the field (Awab is more experienced with relief work, since he also helped out with earthquake and army-operation refugees earlier). I’m also cowriting this with him so that we share experiences from different affected floodzones. If you are working in Balochistan or Khyber Pakhtunwa or any of the many, many regions that we aren’t please get in touch or just write your thoughts out as a comment. No time for formalities here. Normally, a social worker would write this, but I wanted us, normal people with no training, to put out thoughts together on what worked, and what didn’t work based on our experiences. Why? Because the majority of Pakistanis who can help- are average people like Awab, Saad, myself and you. While a minority, born with a silver spoon living in their palatial havelis, luxurious farm houses and bungalows, can talk about the problems being faced by the country such as fake degrees, terrorism, the presidency and target killings on their dinner tables, with generators on standby and water tankers at their disposal, there are millions in this ‘land of the pure’ who survive on one meal per day and it is nearly impossible for them to make both ends meet no matter how hard they try. They are the deprived class, peasants or the masses that are being continuously exploited by the waderas, chaudrys and seths to work on their farms, factories or houses for ages, that too on meager or no salaries at all. A recent study sponsored by the Swiss Agency for Development and Cooperation titled ‘The state of food security in Pakistan’ and carried out by the Sustainable Development Policy Institute (SDPI) in collaboration with World Food Programme narrates that Pakistan is a country where 48 per cent of the population is under extreme food insecurity and these figures have doubled between 2003-2009 along with a 14 per cent drop in the food secure districts. In 1985, Xenel Corporation of Saudi Arabia conceived the setting up of a mega-power plant in Pakistan’s private sector. The sponsors of Hub Power Company had to negotiate for nine long years with 11 successive Pakistani governments and at least 40 different bank-lenders before they could sit and sign an Implementation Agreement (IA) with the government of Pakistan then led by Prime Minister Nawaz Sharif (the IA was signed on August 3, 1992). Hub Power’s four steam turbines of 323 MW each, for a total of 1,292 MW, were commissioned on March 31, 1997. 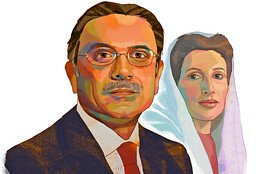 In 1993, the Pakistan Peoples Party won elections. In 1994, Prime Minister Benazir Bhutto unveiled Power Policy 1994. The Private Power and Infrastructure Board (PPIB) was inundated with 116 applications amounting to an accumulated generation capacity of 26,000 MW. The PPIB selected 75 applications — amounting to an investment of some $20 billion — to whom it issued its Letter of Intention (LoI). After further scrutiny and a deposit requirement of Rs100,000 per MW, a total of 33 applicants were issued Letters of Support (LoS). Eventually, 14 of the 33 applicants were able to reach financial close. This letter is our expression of deep sorrow and grief at the savage attacks on the Sri Lankan cricket team while they were touring our country. As Pakistani citizens, we are shocked, angered, and greatly embarrassed at being the source of such anxiety to the people of Sri Lanka. There never can be a justification for such horrendous acts of violence, and the Pakistani nation strongly condemns this evil act. The dastardly attacks were carried out by miscreants who do not share the common values that the peaceful citizens of both Sri Lanka and Pakistan cherish and uphold. Pakistan has been the victim of many terrorist attacks in the last few years, and it is evident that this cowardly act was another attempt to cause increased turmoil and chaos in a country that is already suffering through a period of extreme violence and anarchy. We therefore thank the Sri Lankan team for agreeing to play in Pakistan even when other countries refused citing security concerns. In hindsight, those apprehensions seem very valid, but the courage of the Sri Lankan Cricket Board and players in agreeing to play is laudable, and the nation of Pakistan shall be forever indebted to your country. This tour was crucial for the revival of cricket in Pakistan, and we greatly appreciate your efforts in agreeing to be a part of this process. In what appears to be yet another blooper on the international stage our President Asif Ali Zardari has yet again dropped a bombshell on our nation. If the security threat in the North West arena was not enough to handle he has just awoken a sleeping giant when he labeled Kashmiri freedom fighters as terrorist in an interview with WSJ a few days back. 20th September 2008, ‘Land mark’ presidential speech to the joint session of the Parliament was overshadowed by a quick reminder of the menace of terrorism in the form of an explosive terrorist attack at Marriott Hotel, Islamabad which took over fifty three lives and scores were injured. This condemnable attack not only highlighted the kind of danger Pakistan is facing, the war of top security agencies in the region and on its soil, and the loss of many lives & families which are unaccounted during this on going struggle in order to find viable answers how to secure sustainable peace and calm to the region and in return to the world in general. So far no one has found the right key to success in this ongoing onslaught. Pakistan is caught between rock and hard place, on one side US anger over poor performance and asking them to do more, and if they do, the sheer resentment over foreign policy is visible by outlawed networks and Jihadists and expressed by the sophisticatedly hit targets which are normally pro West outlets. In Pakistan these suicidal attacks have crossed a century in number in only last 1 ½ years though this individual Non NATO ally is at the brink of facing the wrath in the form of unitarily inside strikes by the super power for their lack of will and action despite losing over 1000 soldiers at the rear border at Durand line. High value target though is missed by inches each time, but this faulty intelligence is causing an increase the collateral damage day by day, and that is the sad other side of the multi colour story full of blood. Is the Judges Issue a Distraction to the Economic Crisis? The most common argument that I get asked day in and day out, is “Judicial issue is diverting the governments attention from the core issue of the economical crisis”, in response I have endlessly argued against the rhetoric, since I have long since believed that the economical problem though valid and very important is more of a transient issue, and a fall-out from the mis-adventures of the old administration (read Musharraf, Shaukat Aziz & Q-League). Economic stability needs time and a genuine commitment from the leading politicians to solve, only possible with a sincere effort and the courage to look towards a better Pakistan rather then hunting for a juicy under the table wad of cash. Whilst an independent judiciary will play its due role to ensure justice is served to the people of Pakistan and the people are not forced taking matters into their own hands to exercise their own version of civil courts served mob-style on the streets.